Some of the criteria considered in such investigations includes the impact of foreign competition on the economic welfare of “the essential domestic industry,” “growth requirements of domestic industries to meet national defense requirements,” and the “displacement of any domestic products causing substantial unemployment, decrease in the revenues of government,” and “loss of investment or specialized skills and productive capacity,” according to a June 2007 Department of Commerce program guide. The investigation must involve the Department of Defense, and can often include other government agencies and departments, like the Department of Labor and State Department. 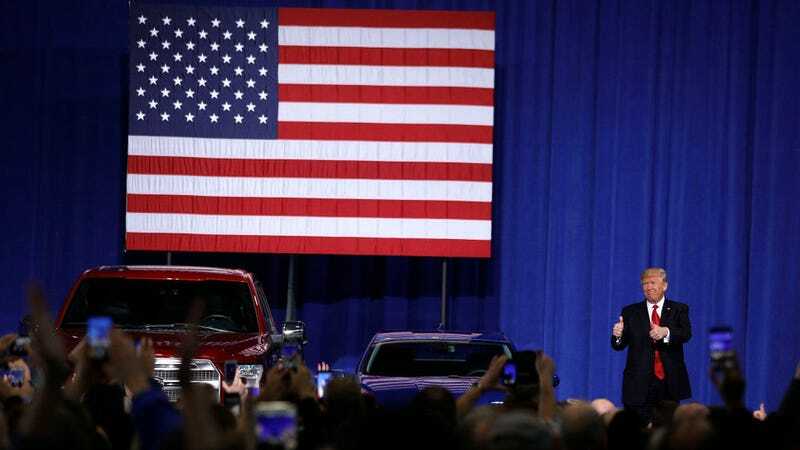 The President’s instruction to consider an investigation to the Commerce Secretary follows his previous rhetoric threatening to tax foreign cars, “which freely pour into the U.S.,” and his recently imposed tariffs on steel and aluminum—which will not be good for the U.S. auto industry. If an investigation is launched, the Secretary of Commerce has 270 days to report its findings back to the President, and then the President has 90 days to determine if the findings are agreeable and whether or not to make any “adjustments” to imports.